I am a huge gaming console fan, and I spend most of my time around it. However, recently one of my friends asked me this question: Can you play ps3 games on ps4? And it instantly made me think that there are so many people out there who do not often purchase a new game. Alternatively, there are gamers who want to play PS3 games on PS4 console. So I thought of writing down a detailed guide on whether or not you can you play a ps3 games on ps4 or not. Well, the answer to this question is not a straightforward one instead it is a little bit complicated. But if you ask me for a straightforward answer, I would say “Now you cannot play PS3 games on your PS4 console. But wait, I am not even saying that it is absolutely impossible. It’s just that you cannot play PS3 games on PS4 by downloading or using a PS4 disk. Since the firmware, settings and all will be different. However back in the days, the story was completely different. One was able to play PS3 games on the PS2 console because of backward compatibility. The traditional meaning of the backward compatibility is playing older games on a new system. Till now Sony used to offer this feature with their gaming consoles. But since the trend of downloading games instantly blew up, the company had to remove it. However since it lacks the backward compatibility, Sony has introduced a service called PlayStation Now. Using this service you can easily play PS3 games on your PS4 console. Although when it comes to Playstation’s rival which is Microsoft Xbox well, it supports backward compatibility. Hence, as a result, you will be able to play old classic games on the latest console without walking an extra mile. But the question still remains, how can you play ps3 games on ps4 using PlayStation Now. Well before I answer to this question, let’s understand what PlayStation Now is. The PlayStation Now is a game streaming service introduced by Sony. It helps gamers to play PS3 games on the PS4 consoles. However, the condition is that you will need a pretty strong wi-fi connection. You can say that it is something like Netflix which allows you to stream a game within the PlayStation now library. This definitely kills the need of installing PS3 games on their PS4 and updating them. 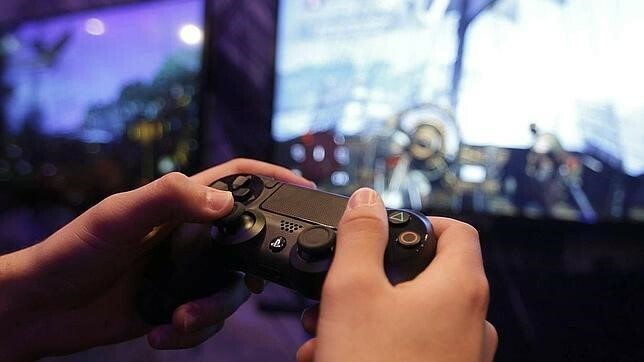 Instead, the PS3 games are stored in the online cloud, and you can access them using a wi-fi connection. The minimum wi-fi speed needs to be 5MBPS, and you are good to go. However, the catch with PlayStation Now is that its not free. The service comes with a price tag of £12.99 per month, or you can pay £84.99 for a year. Also in case if you are not sure whether you should go with the service or not then there is a 7 days free trail too. So you can test the service and see if it is working for you or not. But what if you have already purchased a bunch of PS3 games? Do I need to repay for them? Well yes, you have to pay for the subscription. PlayStation now does not offer any compensation for your existing games, and it is kind of justified too. Like we are not purchasing games individually. Instead, we are taking a subscription and using it to play the games. So those were some of the popular PS3 games that you can find on the PlayStation Now. Apart from these games, there are so many gamers who also want to play PS2 games on their PS4. So the question is if it is possible or not? Yes, you will be able to play PS2 games on your PS4. Sony has launched a PS2 emulator for the PS4. Hence, as a result, it is now possible to play PS2 games on a PS4 console. Moreover, PlayStation often releases updates which allow you to access the classic games on your latest PlayStation console. So the gamers would not have to compromise playing the old classic games on their latest PlayStation console. So that was the answer to your question that says “How can you play ps3 games on ps4”. However, unlike Xbox, there is no straightforward way to play the games. Instead, we have to get ourselves a subscription which is a setback for many. But in the end, we can’t do much about it. Anyway, if you have any questions feel free to comment below.